The following SPC promotion was partly filmed in the Lost Shepparton Shop during March 2016 and features Geoff Allemand (local historian and Lost Shepparton founder), Jessica Trevaskis, Shannon Jukes, Ray Ducat and Adam Furphy. Thank you so much to SPC for including us in this very special promotion of SPC's 100 years of preserving memories. The home of Shepparton's past, present and opportunities for the future. Lost Shepparton - our history in photos, stories and information. 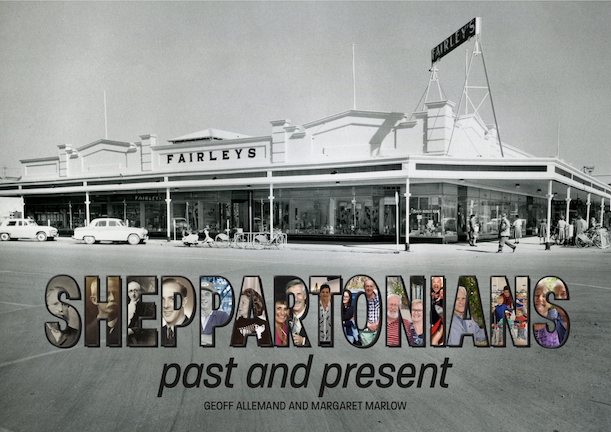 Buy our Shepparton history products here. ​The Lost Shepparton Shop is located at the Shepparton Heritage Centre, 154 Welsford St, Shepparton (opposite Police Station). Also on Facebook. Show Me Shepparton - present day photos and stories of our places and people. Also on Facebook. Ducats Currency - Shepparton's own Money. Also on Facebook. ZeeTours - Self Guided Walking Tours of Shepparton's historic and interesting places. My Shepparton is an initiative of Geoff Allemand. Get your historic photo books here. Coming soon. Mooroopna's very own souvenir photo history book. Released December 7th, 2017.